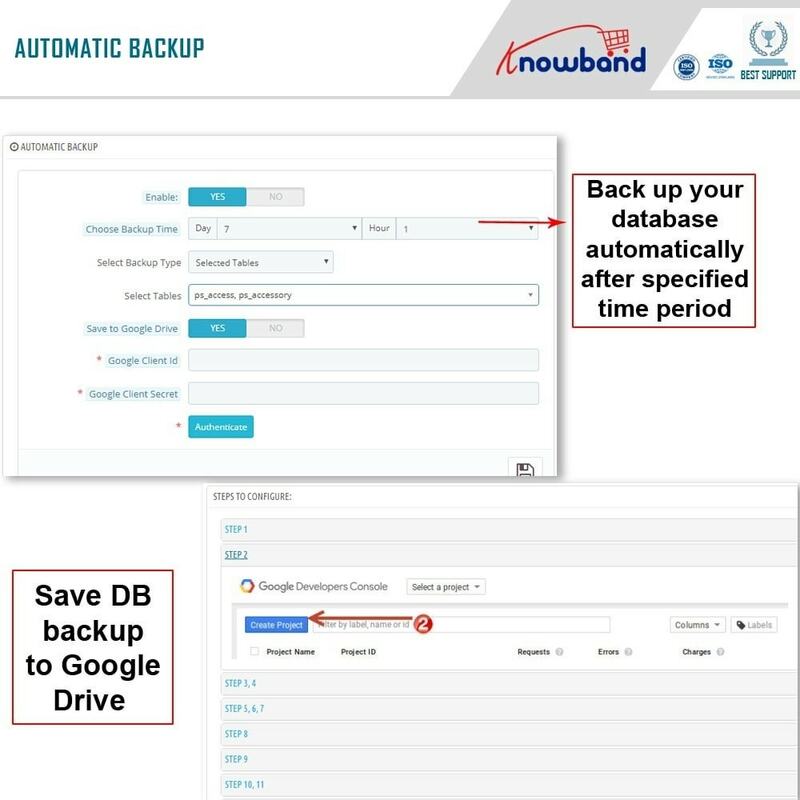 For eCommerce or any type of site, regularly backup of the database provides an insurance against the data loss and other inconveniences that occur because of a fault on DB, We understand that you are a busy person and don't have time to take regular backups. 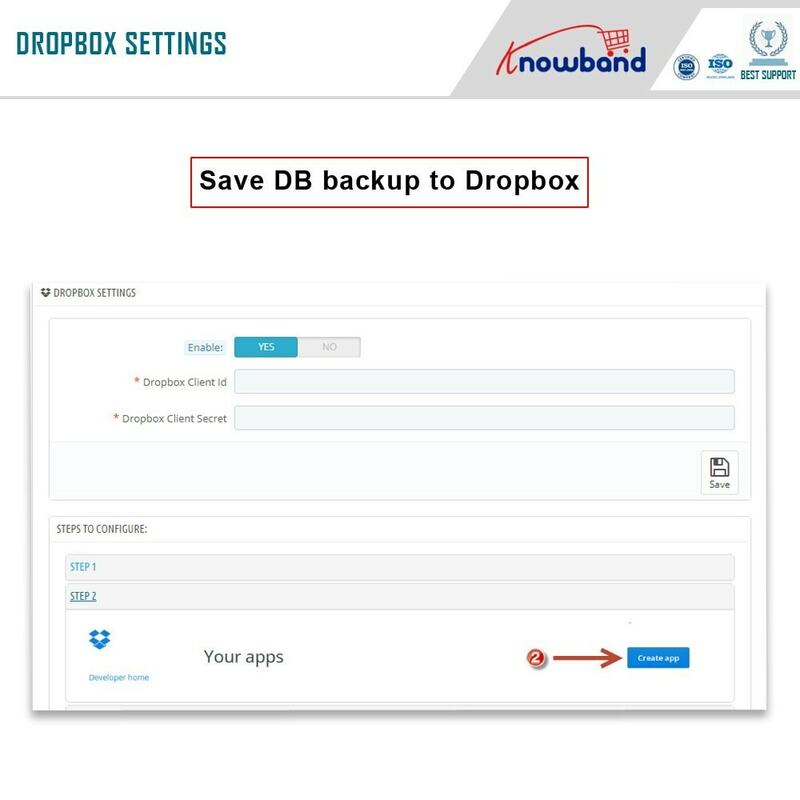 That's why we have introduced this Prestashop auto backup extension which can take automatic backups of your DB and simply save on your server, Dropbox, or Google Drive account. This Prestashop database backup addon only backup your database, not your files. 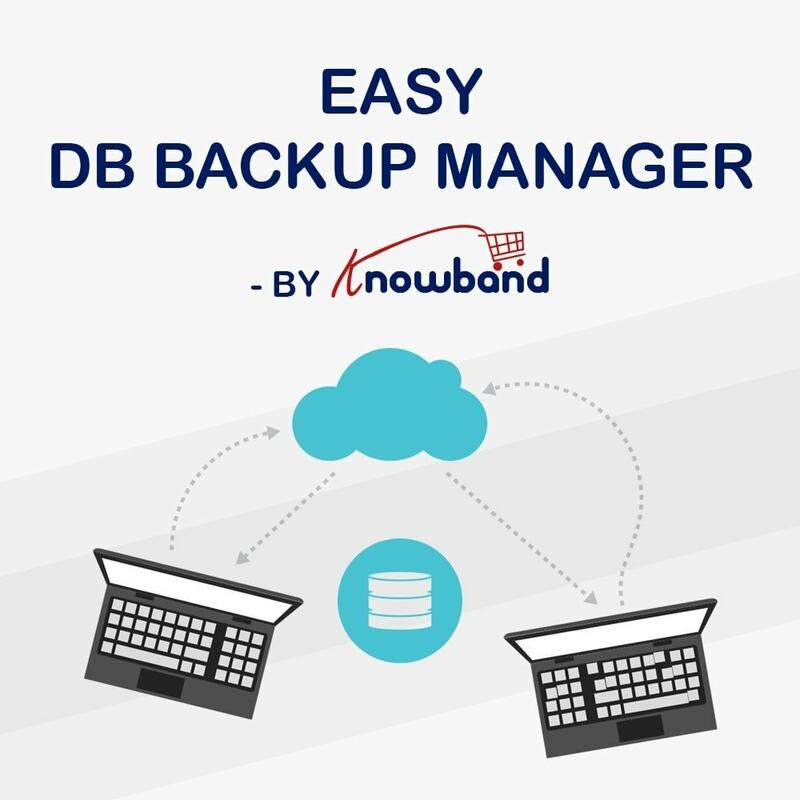 The Prestashop EasyDB backup manager addon offers the features to the store owners to create backup automatically or manually. 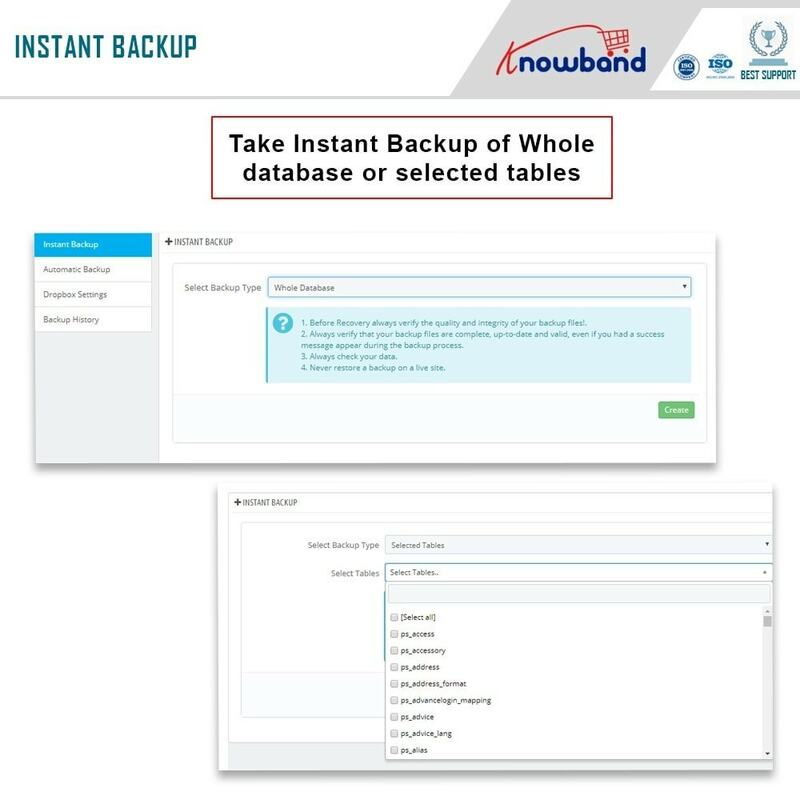 The Prestashop store merchant can also choose to create Full Database Backup or only of some selected tables. The Prestashop easy database backup manager extension allows the eCommerce store owner to choose store the backup on your server or to the Cloud (Google Drive or Dropbox). The Admin can see the full backup summary and has the access to delete or download any specific file. The Prestashop auto backup extension even manually sends any backup file to Google drive or Dropbox if not sent already. The Prestashop addon has the full access to set the gap between automatic database backup- Days and hours. 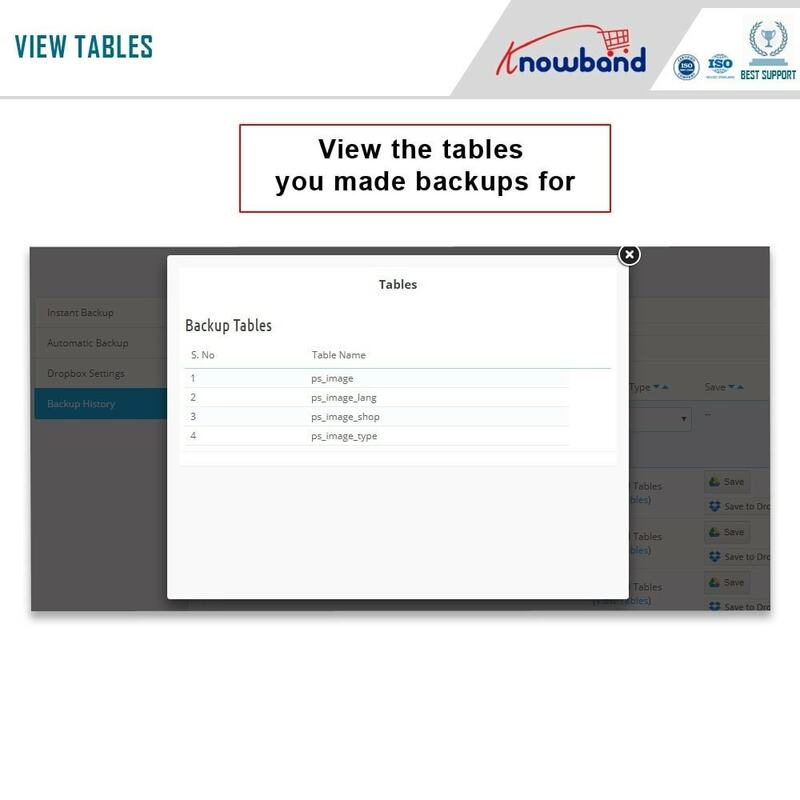 The Online retailers can also see the backup size in module's summary table. Automatic Backup: The admin can schedule PrestaShop EasyDB backup manager module to create database backup automatically after the specified number of days and hours. 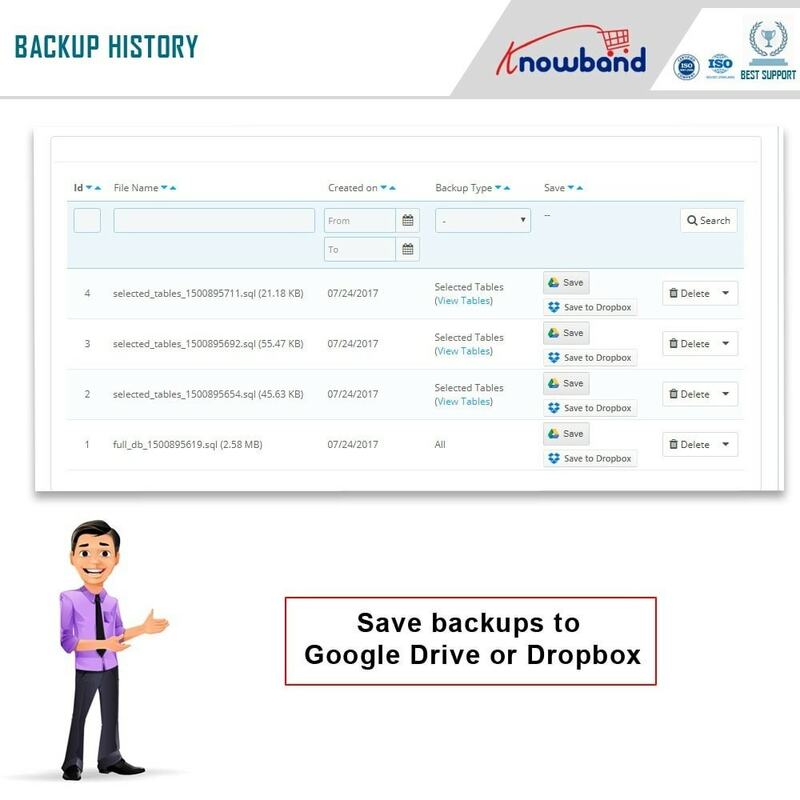 Manual Backup: The Online store admin can also create a manual backup, either to his own server or to Google Drive and Dropbox. Full Backup Summary: The Prestashop database backup extension shows full backup summary with file size, creation date and an option to delete or download backup file. Selected Tables Backup: The Prestashop module allows the store admin to create the backup of only some selected tables in the database. Full Database Backup: The Prestashop EasyDB backup manager extension also allows the admin to create the backup of the complete database. Always verify the quality and integrity of your backup files! Never restore a backup on a live site. Don't schedule backup on your web server if it don't have enough space.